Channel Hollywood style with French glam on a Friday at Le Jardin; a dynamic night spot in L.A that’s très chic. Le Jardin is essentially one giant drinking patio that brings ‘Je Ne Sais Quoi’ flare to the LA scene. Kick off the weekend at the most talked about Friday night at Le Jardin; a velvet rope lounge with South of France vibe in Hollywood. It’s THE place to experience an unforgettable night out with friends, signature drinks and dancing to top notch DJs at a dynamic party that’s très chic. You might not be able to see past the velvet ropes; but there is always something exciting taking place on Friday nights at Le Jardin LA. This is the place where the A-list set of actors, models and mega superstars are partying their youthful, beautiful, tanned lives away after dark in LA. And everyone is sure to be dressed to the 9’s. Put your most stylish outfit on and enjoy your next great night out in LA at Le Jardin with a trendy group of friends. 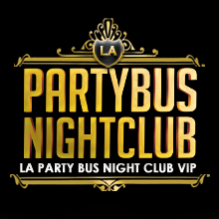 For tables with bottle service reservations, guests can call (310) 749-9029 or use form below.